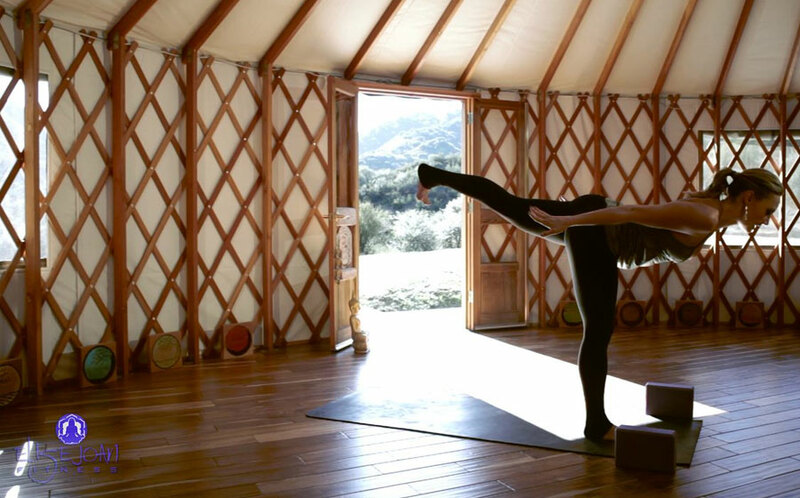 Working on half-moon & twisting half-moon balances in combinations with warrior flows, this segment will lengthen the body, open the mind, and elongate the legs & side waist. Give yourself permission to fall, and keep getting back up to practice this segment over and over … Gaining more stability with each practice. As the title here suggests, we’ll be dancing our way through a rhythmic full body flow, while exploring balancing core work in half & full Moon poses. Practice this sequence again and again to gain balance, focus, and stamina. We’ll flow through all our warriors and touch on the standing challenge of “praying mantis” pose. Vinyasas, warriors, and curtsey lunges round out this full body defining flow. Don’t be discouraged by falls or tipping over. Get back up and try again and again!